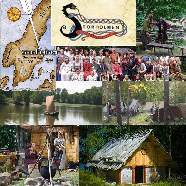 Reenactmentgroup local to Hovgården, the king´s residence to Birka during the Viking Ages. The Viking ages and the Middle Ages history with the starting point in Scania. Bringing the history to life and conveying our cultural heritage to a wide audience. The passing of our knowledge in an informative and thorough manner, including via modern digital technology. The museum business was developed from the archaeological activities that the SVEG association (Scandinavian Viking Explorer Group) built up during the 1980?s and whose work developed into a cultural pilot project and a cutting edge for southern Sweden?s marine archaeology. In 1993, the Foundation of Fotevikens Maritima Centrum was established. The roots for the establishment already existed in the SVEG association with its chairman Björn M Jakobsen. Other partners were the Falsterbo Peninsula Museum Organisation and the Vellinge Municipality. In the beginning, the work was defined to spread knowledge about the Nordic Viking ages and to developing the Maritime archaeology. After the marine archeology in 1999 moved to Malmö museums have the subject area substantially been reduced and the Foundation has now ceased. In 1995, The Foteviken museum was founded and Björn M Jakobsen became the museum director. The same year the former museum director for Malmö, Sven Rosborn joined as the head of information and research at the museum and as a scientific representative on the board at the Foteviken Maritime Centre Foundation. Vellinge Municipality allocated an approximately 70,000 square meters of land at Höllvikens northeastern shore for the museum´s activities. In 1997, the planning and construction of the Viking town, an archaeological open air museum, had begun and is so far the worlds first and only attempt to recreate a Viking town, based on the archaeological findings and historical source materials. Here we got the opportunity to develop the experimental archaeology with the goal to bring the Vikings history to life. 1999. After being the initiator to- and helped with the constructing of the Scanian maritime archaeology, Fotevikens Museum handed over the responsibility to Malmö Culture department. The museum then focused on the visualisation of the maritime history for a wider public. The museum initiated the building of two cogs after medieval models. The project, which was located in Malmö but led by the Foteviken Museum, became the largest medieval project for over six years in Scandinavia. The Viking environment grew in the meanwhile in the Viking town. At the same time the Viking exhibition environments in the Viking town grew steadily. To conduct its own research and learn from others research much form the backbone of this type of activity, to physically bring our heritage to life. Despite the limited resources, the museum conducts a great deal of work in this field. The project ?Malmö 1692? is one example of many. This project initiated and carried out by the museum?s research department under a number years. It has been possible to digitally recreate the 1600?s Malmö with the use of all historically known sources until 2007. The project is completely unique, even seen from a European perspective. 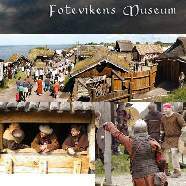 Fotevikens Museum has also frequently participated in and led many EU project in the past 10 years. In the Viking village of Storholmen you will receive a historical experience, regardless of age. Here you will encounter exciting people from the east as well as the west, teaching you ancient handicrafts, and telling you about the every day life of viking age. The focus of the village is on the home life of the Vikings. Visitors are encouraged to take part in activities that demonstrate how everyday life was led in the Viking Age. The Vikings were maybe, in order, first of all farmers, then craftsmen, merchants, seamen and then of course some men were ? as they are known for ? warriors, more or less like pirates. The Storholmen Viking Village is a Experimental Open Air Museum. The artefacts you see there is the buildings, the exhibition and ? the people you meet! All dressed in authentic clothing, doing the everyday life things, almost always in the way it was done 1000 years ago. And how do they know that, you may wonder? Well, by trying, by doing experiments and of course ? by deep studies. So, everyone you meet there, will tell you stories how life presumably were led at this very place in the Viking Age. The sound of the village blacksmith working at his anvil rings throughout the village and he toils over creating iron goods; from arrow heads to decorative jewellery. Beautiful glass beads are made in a clay furnace. You will here music and dance, but don?t be surprised if you are asked to join in! 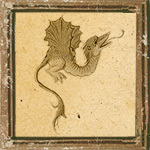 Laughter can also be heard when stories of the old gods are told to the delighted listener, regardless of their age. Other crafts, from wood carving to making silver jewellery, can sometimes be seen, and you may even be able to go for a sail on the lake in a large Viking boat. Viking games are also on show, ranging from trials of strength to hilarious feats of agility. Again, don?t be surprised if you find yourself hopping on one leg while trying to knock other competitors over! Upon entering the village you are greeted by the ringing sound of the blacksmiths hammer, the sound of a bone flute in the distance, and the smell of smoke, tar, and freshly baked bread. Here you will meet exciting people from the east and the west that will teach you ancient handicrafts and tell you about the life of the vikings. At Storholmen you are not merely an observer, but an active participant in everything that happens! You will meet blacksmiths, glass bead makers, hirdmen, spinners and other crafts people. You may attempt to forge something in the smithy, make wool handicrafts, or bake your own flatbread over the fire. The rune master and apprentice will teach you the secret of the runes. The chief and housewife tell you all you wish to know about the every day life of viking age. Now and then the sound of a horn will echo over the village. This signals the start of a special event. It may be Viking-like games, sword fighting, singing and music, or a storyteller divulging tales from the Nordic mythology. Several reconstructed buildings create an atmospheric environment; houses, enclosed pastures with animals, an herbal garden, an outdoor smithy, a sacrificial place, two rune stones . Now three new houses are in the making. Come and watch them being built! In the Viking Village there is also an exhibition where you can read about the everyday life in Viking age, and see reconstructed artefacts and models. There is a café with lighter refreshments. Next to Storholmen is a viking age burial site and nature preserve with old oak trees. On short walking distans are a fine 18th century restaurant, a pizzeria and a beach.